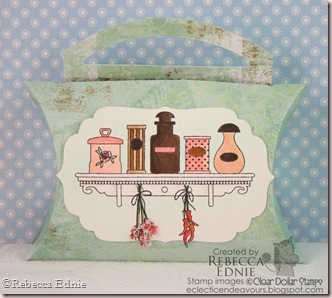 Rebecca…I love, love this pillow box gift idea and the cutely colored “Vintage Spices” is perfect. Very, very nice! Oh my – I love your cards. The flower soft on the flower bundle is genius!! !